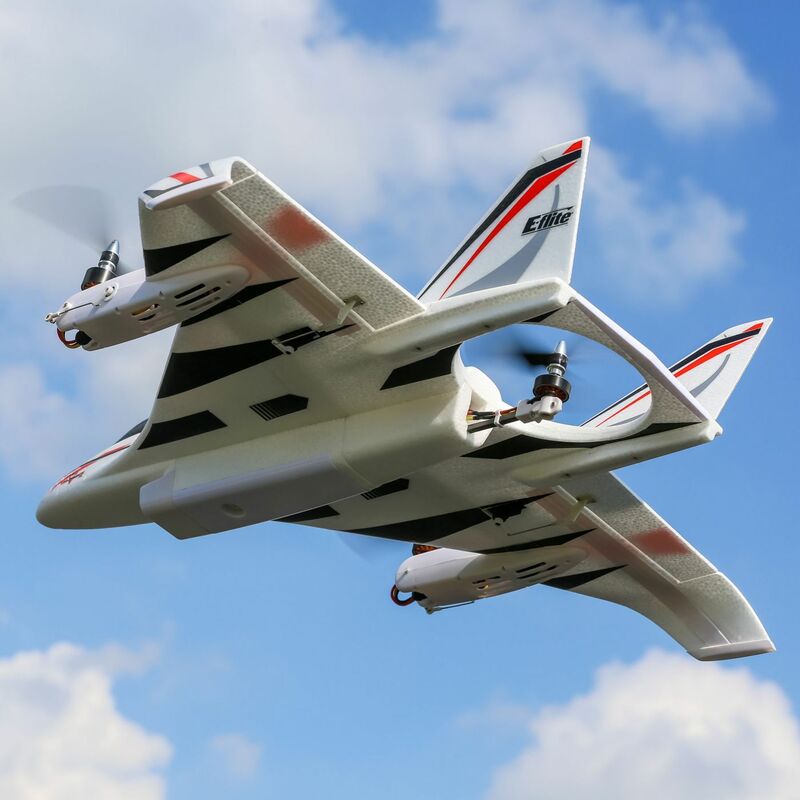 VTOL (Vertical Takeoff and Landing) RC models are usually a mixed bag when it comes to performance. 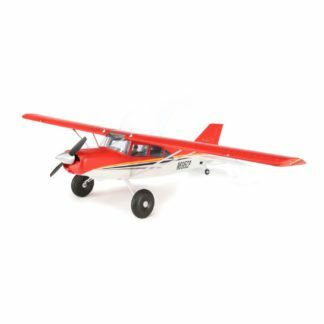 If they are stable, their speed and agility is often lackluster. 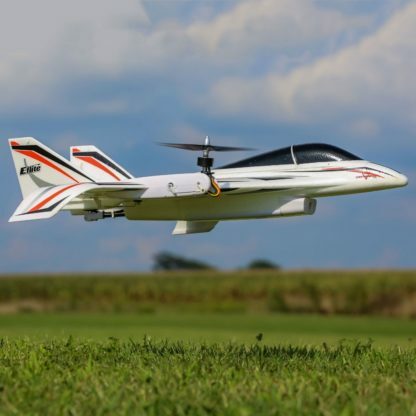 If they are nimble, pilots have to work harder to transition between hovering and airplane flight. 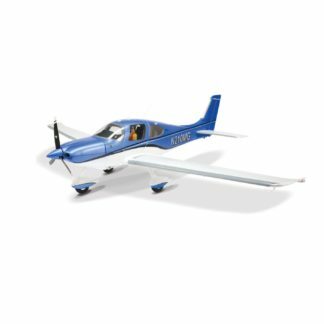 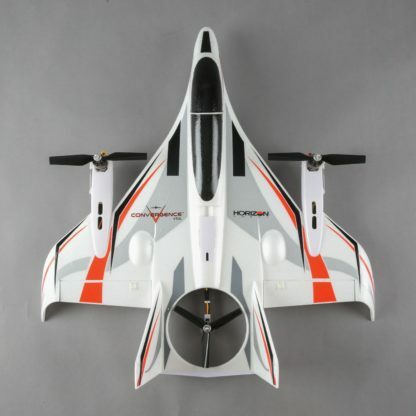 The Convergence® VTOL park flyer changes all that. 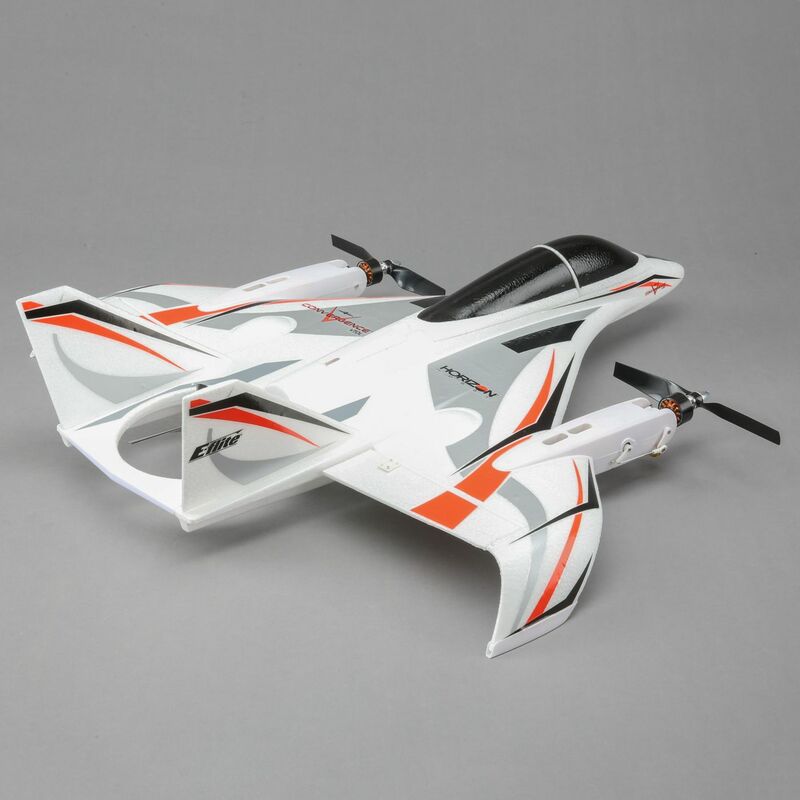 Its unique design and exclusive flight control software give you the best of both agility and stability while making the transition between multirotor and airplane flight so smooth and predictable, you will feel right at home your first time on the sticks. 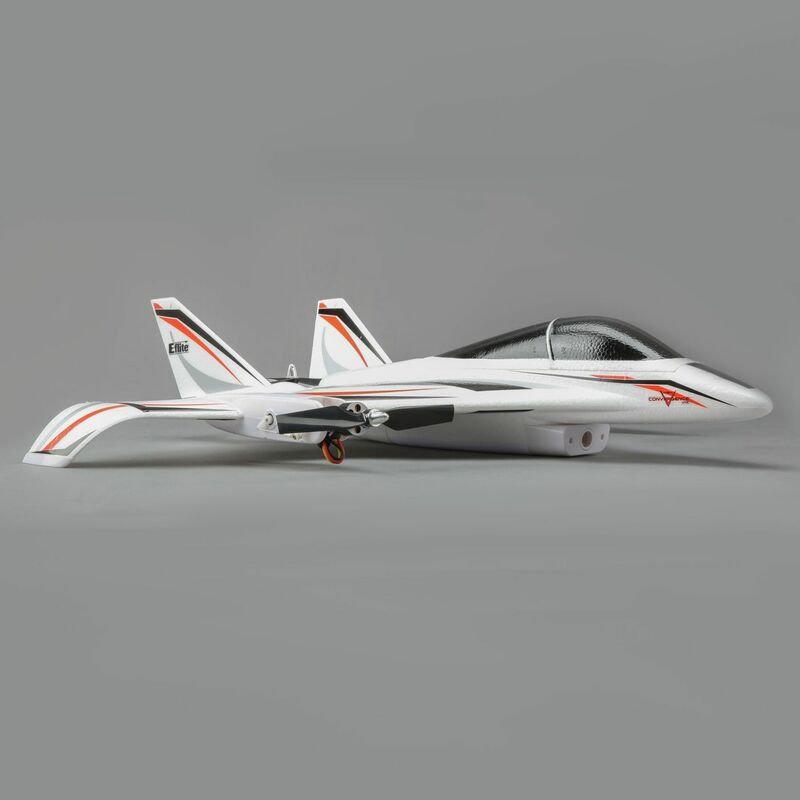 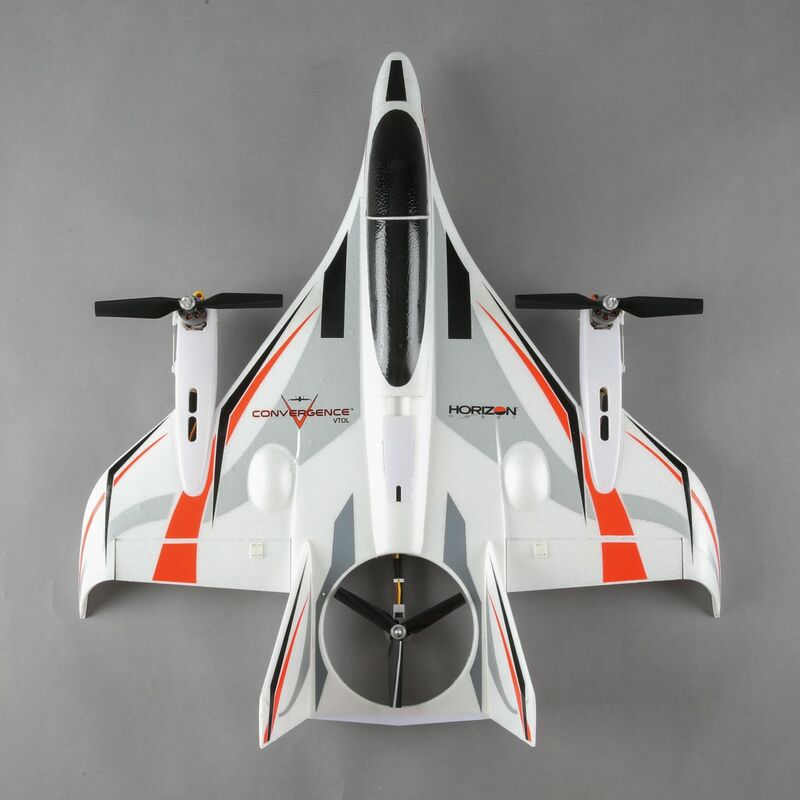 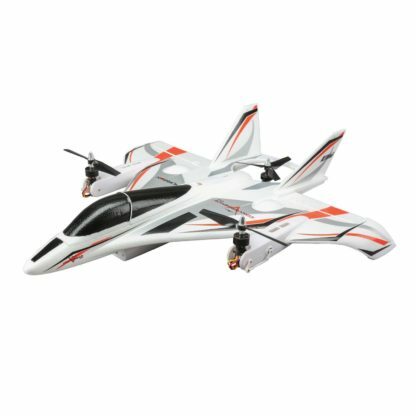 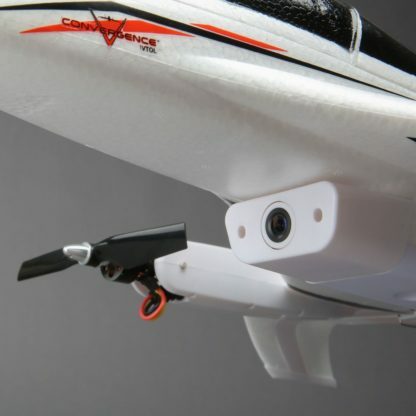 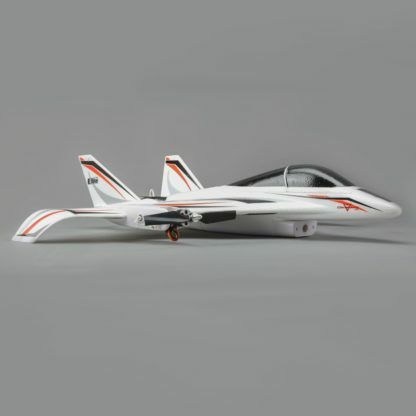 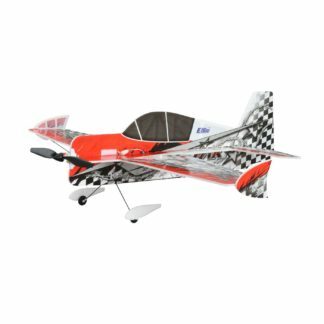 Unlike complex VTOL aircraft that rotate the entire wing and require as many as four motors to achieve vertical and forward flight, the Convergence® park flyer uses a simple, yet sleek, delta-wing design with three brushless motors – two rotating motors on the wing and a fixed-position motor in the tail. 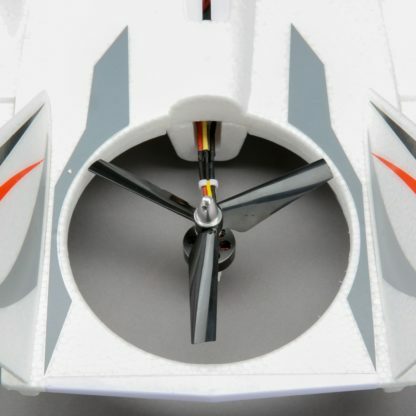 In multirotor flight the wing-mounted motors rotate up into the vertical position to provide lift and flight control along with the motor in the tail. 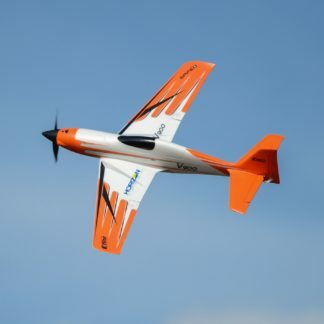 In airplane flight, the wing-mounted motors rotate down into the horizontal position and the model’s elevons take over pitch and bank control. 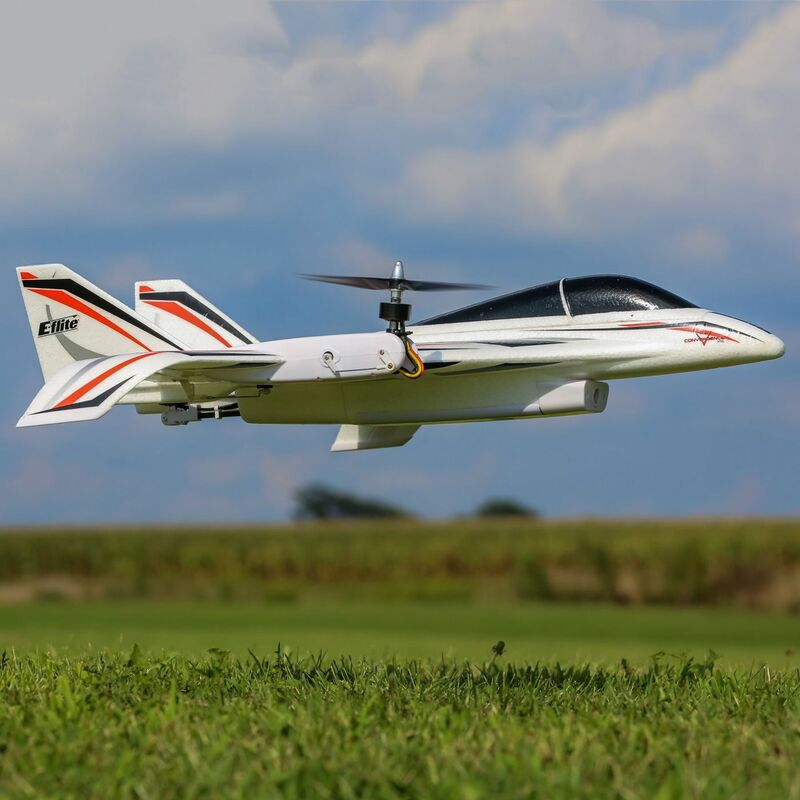 Yaw control in airplane flight is provided by differential thrust from the wing-mounted motors. In multirotor flight, Stability Mode will limit pitch and bank angles and work to keep the model level when you release the sticks. This allows you to take off and land like a pro, even if you’ve never flown a multirotor before. 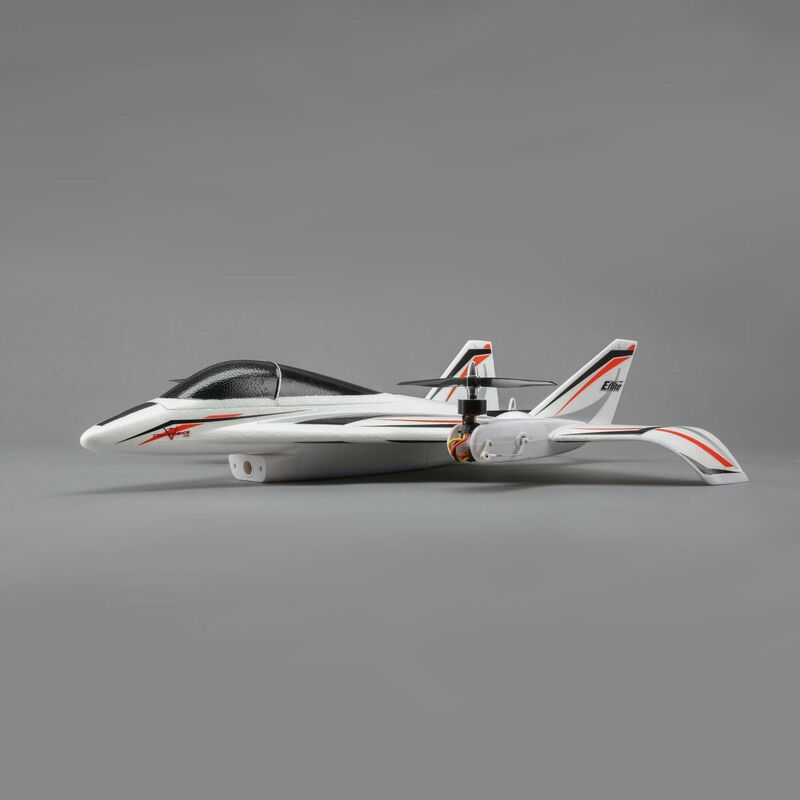 In airplane flight, it will limit pitch and bank angles and automatically return the wings to level when the sticks are released. This Bind-N-Fly® version can be flown with any full-range, 6+ channel DSMX®/DSM2® aircraft transmitter and comes equipped with a Spektrum serial receiver that is connected to the flight controller. 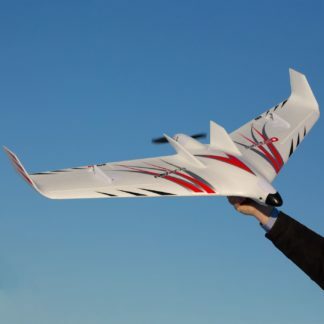 No complex transmitter setup or programming is required. 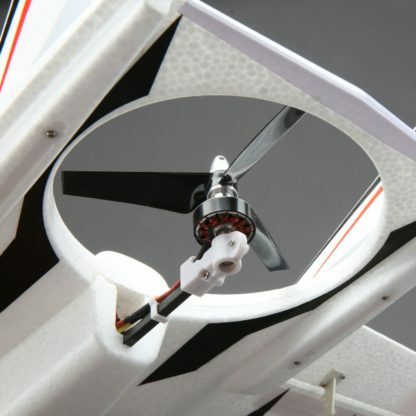 You use your “GEAR” switch for selecting Stability or Acro mode and your “AUX 1” switch to transition between multirotor and airplane flight.